In Theater's Today! Disney/Pixar's "BRAVE" Hits The Bullseye! Disney/Pixar’s “BRAVE” Hits The Bullseye! In Theaters Today! Disney/Pixar’s BRAVE opens in theaters today! Are any of you planning to see it today? A few days ago, my family and I had the opportunity to see a screening of it last week and I think you’re going to love it. I won’t share my “official” review until next week so those of you that like to see movies opening weekend don’t run the risk of any spoiler. But I thought I’d share a little overview, some new clips, and photos to get you ready to see it! BRAVE is set in the mysterious Highlands of ancient Scotland. Even though the movie is animated, the scenery is amazingly beautiful. The mountains, the clouds, each blade of grass – no detail was left untouched. And I really loved how they could set the mood in each scene using the landscape, whether it was the misty mountains or the sun shining down as Merida shows off her archery skills. If these were the guys YOU were supposed to marry, you'd run, too. Speaking of Merida, I have to say, I love her. She is just as feisty as her beautiful red hair is untamed. She wants to be allowed to decide her own life and not marry one of the men tradition dictates she marry. During the competition where suitors are trying to win the honor of marrying her, she even says “I’m here to win my OWN hand”. Honestly it makes you want to stand up in the theater and cheer. Merida also has three younger brothers – and they’re triplets! Imagine trying to be their mother, Queen Elinor, chasing down three young boys, a rebellious teenage daughter, and running a kingdom all at the same time. She’s just like most women juggling it all. And her relationship with Merida is like a lot of mother/daughter relationships: Mom is trying to provide guidance to her daughter, and her daughter wants none of it (I’m sure you don’t know any teenagers that fit that description. Of course not!). BRAVE is a great story of family, courage, and finding your way in life. I think both kids and adults will enjoy it. There are, however, a few scenes that include a rather nasty bear named Mor’du that can be a little intense. If you have very small children that are easily scared, this one might not be the best choice for them just yet. If you decide to go see BRAVE, please let me know! I’m anxious to hear your opinions of it. My family received passes to an early showing in order to help facilitate my review. All opinions, as always, are 100% that of myself and my family. 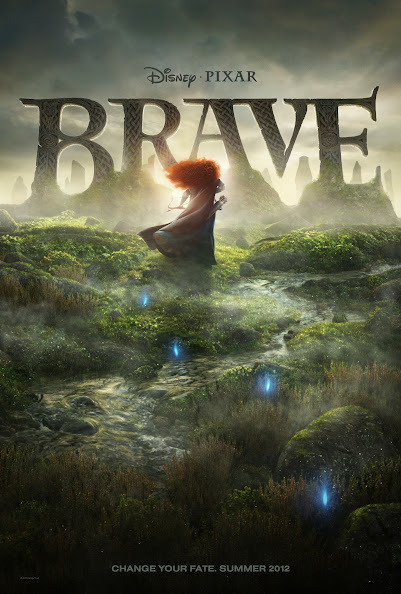 Posted by Liza	Tagged with: BRAVE, Disney 3D, Disney movie, Disney princesses, Disney/Pixar, Merida, Should kids see BRAVE?